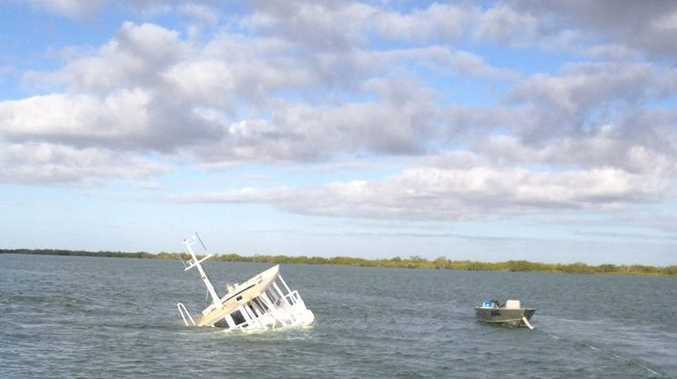 A PONTOON boat has been rocked and tipped over at an out of control party on a Sunshine Coast waterway. About 20 drunken hooligans rocked the boat over causing police to be called about 5.45pm Tuesday. Noosa Police Sergeant Marty White said the serious marine incident on Weyba Creek led to the boat skipper being arrested. He woke up with more than just a Christmas hangover. "It was deliberate bad behaviour," Sgt White said. "They were rocking the boat and tipped it over so it was a major incident because of the concern for people drowning." Sgt White said all the passengers fled the scene, leaving the pontoon owner to be arrested for mid-range drinking in charge of a vessel. "Water police are continuing their investigation into that and there are going to be further charges," he added.